The Whiteface Region is home to Wilmington, which is known to locals as the banana belt. It seems to always be sunny despite the weather patterns in surrounding villages. Thus, it lends itself to some amazing adventures and unforgettable memories. There are numerous trails and hikes that provide for a day or overnight of fun for the entire family. However, if you ask me the trails in the Whiteface Region seem to be less traveled and underrated. I enjoy these trails with my husband and dogs. One day it was a beautiful sunny day ranging in the mid 70s, and we were the only people on the trail for three hours — that’s hard to find in the Adirondacks. That to me is a perfect stress-free adventure. I believe there is a hike in each range of expertise that should be sought out by those traveling through this area for adventure. Copperas Pond is a great hike that is family friendly. It can be a day hike or you can convert it into an overnight camping trip. The trail contains a great lean-to and designated campsites right on the through trail. There is also Owen Pond, which can be reached from either trailhead parking area on Route 86 as it follows the Ausable River. The hike itself is very relaxing with several options for enjoyment. I have witnessed people swimming, paddling, and fishing in this area. My husband and I decided to hike in and camp in the lean-to with our two dogs for a little rest and relaxation. Our hike was a spontaneous night hike, as we both had to work until 5 p.m. and be up and at it for 8 a.m. That is part of the joy of this trail — it can make for a quick adventure when time isn’t always available. We enjoyed snacks and a few beverages by the fire while sitting under the stars. I’d have to say this is one of the most enjoyable hikes due to the easy access and the simple hiking terrain. Copperas Pond is definitely a great family-friendly hike to enjoy during all times of the year as well. The Cooper Kiln Trail can be a moderate hike or an easier hike depending on which trip you decide to make. This is one of those unique trails that you can do as a through hike, or hike to a certain point and turn around. The trail encompasses a pond, slide, and lean-to, all available for your exploration. I had only snowshoed part of this trail until recently, when I decided to embark upon it and see everything it has to offer. We headed up the trail via the trailhead on Bonnieview Road in Wilmington with our two dogs. The trail was nice and gradual, and once we crossed the creek it started to subtly incline. As we approached a switchback that shoots left in the trail we noticed there was a more subtle trail straight ahead over a downed log. We decided to adventure on that trail as we were aware it lead to the Cooper Kiln Slide. We ventured onto the slide, which is a geologist’s paradise, and the abundance of plant life is fascinating. The slide leads to Wilmington Peak. We decided to make our way up the slide as the day was beautiful and the views were breathtaking. If you take the sharp left and stay on the Cooper Kiln Trail you will eventually find yourself at the lean-to near the Cooper Kiln Pond. This trail is wonderful, as you can create your own choice of adventure on it. Keep in mind that whatever you choose to use this trail for — hiking, camping, snowshoeing, or another exploration — be prepared and know the trail. This hike is truly a hidden gem here in the Whiteface Region. A moderate, yet enjoyable hike for those looking for a little extra adventure. Esther and Whiteface are a dynamic duo. They make for an amazing yet challenging hike. There are a few ways to hike these peaks, and keep in mind the trail will be easier for those who are experienced fast hikers; however, it is advised to read up on the hike before bringing families or pets along this trail. The two peaks are both considered High Peaks and are part of the collection of peaks known as the 46ers. 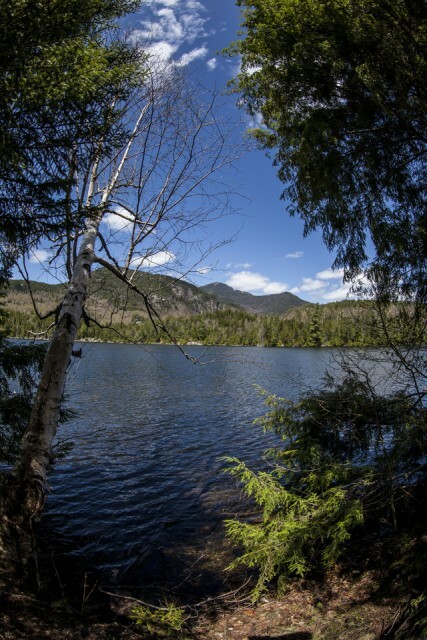 The 46ers are all mountains in the Adirondacks that were initially surveyed to be above 4,000 feet. This group of mountains is often a challenge taken on by those who love to hike. The most traveled route to get to the top of Whiteface and Esther is via the Atmospheric Science Center Road. To reach this road you will go to the four-way intersection in Wilmington that has a sign for Santa’s Workshop, Wilmington, and the Whiteface Memorial Highway. You will turn toward Santa’s Workshop and the Whiteface Memorial Highway. You'ill approach Atmospheric Science Center Road on your left; head down it, then go around the round about and the trail will be on your right. The trailhead is unmarked, so you must be aware of your surroundings. The trail will take you up Marble Mountain, where you will come to an intersection. Turn right. The climb is rather demanding, so keep this in mind when evaluating the group you hike with. Esther Mountain's herd path is marked by a large cairn at the next intersection. Most hikers take a break on Esther’s summit, but there are not many views. 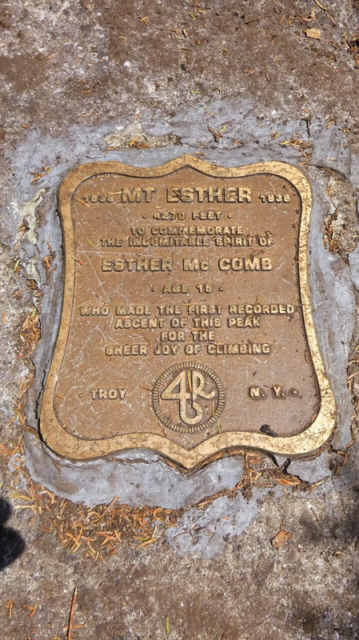 You’ll continue over Esther on the path to the top of Whiteface Mountain. There is a ridge that has some amazing views. Continue to follow the trail and soon enough you will be hiking to the top. Be aware that you will gain some attention if people (who drove up the mountain) are there, as they will look at you in amazement when they realize you just hiked all the way to the top. It’s quite an amazing feeling to be honest. The summit has amazing views and is extremely enjoyable to relax on before heading back down. The Whiteface Region has numerous amazing hikes and adventures. I highly recommend taking advantage of all it has to offer. This hidden gem in the Adirondacks is home to many of my favorite memories.